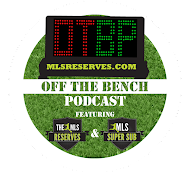 This year we at MLSReserves.com our excited about bringing a new segment to our weekly coverage. You can still expect to find our weekly rundown of the MLS Western and Eastern Conferences and our NASL round-up but now you can also find our new weekly USL Spotlight. We plan on choosing a significant story from this week’s action and shine a little light on it. 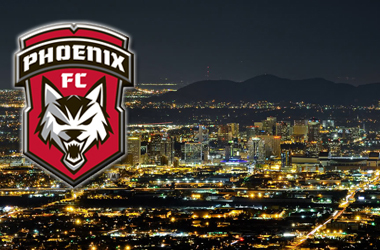 This week we will be focusing on Phoenix FC and their debut USL Pro match against the Los Angeles Blues, in Los Angeles. Prior to the start of the season Phoenix FC new Head Coach, Scotsman David Robertson, leveraged his connections from his former club, Aberdeen, to sign veteran, Darren Mackie. Mackie was expected to bring his vast wealth of experience at Aberdeen, where he amassed over 300 appearances and 58 goals with the club, to the Phoenix attack. However, Mackie was not fit for the match due to an injury and the Wolves were forced to sit out there star Forward. The club is hoping for his return in their Home Opener this coming weekend. The match got off to a less than ideal start for the Wolves as they were put under early pressure from the LA Blues. It got worse for the Wolves in the 25th minute as they saw a low cross from LA Blues midfielder, Matt Hall, find the foot of George Davis for a one-time finish. To make matters worse the visitors were reduced to 10 men just before halftime as the other veteran defensive midfielder and former Ghanaian International, Anthony Obodai, saw a straight Red Card for a tough tackle on Los Angeles’, Juan Perez. The Blues didn’t take long to capitalize on the man advantage as they put away a second goal just a few minutes after halftime. Forward, Chris Cortez headed home a good free kick from Rodrigo Lopez. The match would hold at 2-0 in favor of Los Angeles and leave the Phoenix Wolves empty handed at the final whistle. Phoenix FC will have a chance to earn some points in their inaugural USL Pro season when they host the other USL Pro expansion club, VSI Tampa Bay, at Sun Devil Stadium on Saturday March 30th. Although, the Wolves are still searching for their first points in a tough game where the Los Angeles Blues controlled much of the match, it is always nice to see a new Professional Soccer team take the field in North America. So from us here at MLSReserves.com, keep your heads up and congratulations on achieving a very important milestone for your club’s history. Keep an eye (and ear) on MLSR later this week for more USL news.